During this year’s EVO competition, it was revealed in a short trailer that the second season of Tekken 7’s Season Pass will add several characters to the fighting game’s roster. 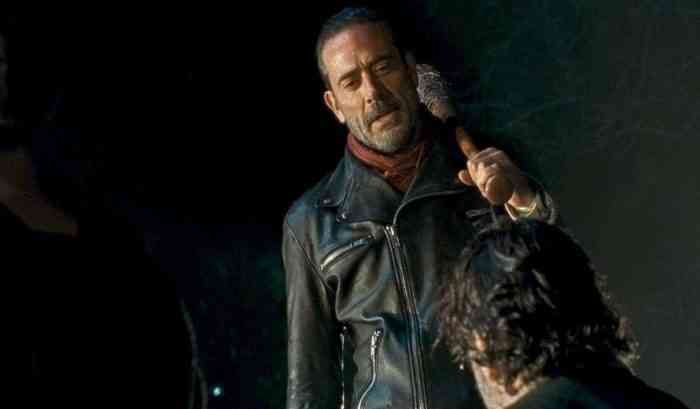 One of those characters will be Negan, an antagonist from AMC’s The Walking Dead. The other characters that’ll be coming to the roster in the upcoming season pass include Anna Williams and Lei Wulong, both of whom appeared in previous Tekken games. But the most surprising addition has got to be Negan and it’ll be intriguing to see what Bandai Namco does for his moveset in Tekken 7. Will there be a special lean combo move? Will the barbed wire wrapped around his bat uncoil and be used to tie up opponents so that Negan can unleash an array of deadly lean-focused attacks? Can Negan lean in order to taunt other characters? There are so many directions that Bandai Namco could go in! However, according to the trailer posted above, the launch date of this season pass hasn’t been announced yet so it could be a while until Tekken 7 players can actually get to play as Negan. What do you think of this unexpected addition to Tekken 7? Let us know in the comments section below!